The only snake zoo in Switzerland was on 1./2. Opened in July 2000. He is the work of the mechanical engineer Jean-Claude Villars. A visit of the well-known “Tierli Walter” in the schoolhouse Münchwilen, was the trigger for the fascination, the snakes still today on Jean-Claude Villars exercise. Former owner and founder of Villars AG (production of coating equipment), Jean-Claude Villars today runs the Snake Zoo with his wife Hilde Villars. Before the snake zoo came into its present form, Jean-Claude Villars kept his animals in his own home. Everything started with the purchase of his first two corn snakes in 1994. After the sale of his then company, the Villars AG, he was able to deal even more intensively with the snakes and so found 50 snakes space in his house. 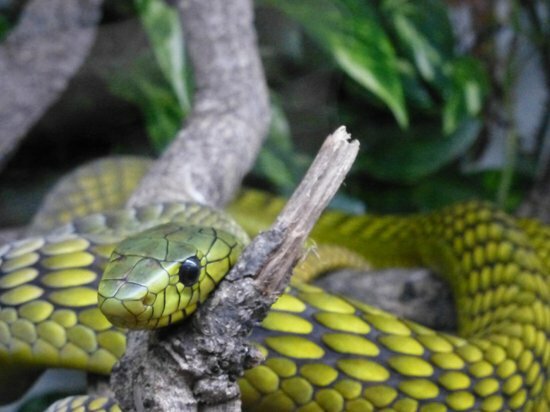 Friends familiar with the hobby of Jean-Claude Villars encouraged him to make his snake collection accessible to the public. The idea was well received by the snake friend from Wallenwil. In 1998 he decided to build a vivarium. After the successful search for a locality and the subsequent completion of the construction, he designed and carried out the construction of the facility for the animals themselves. His wife, Hilde Villars, who was initially skeptical of her husband’s extraordinary hobby, is leading the Snake Zoo with her husband today and has contributed significantly to the success of the Snake Zoo. She does, for example, the rearing of young, non-poisonous snakes and is responsible for the feeding of snakes. Together, they ensure the successful existence of the snake zoo. Over time, the Snake Zoo became so successful that it exhausted the capacities of Jean-Claude and Hilde Villars. Meanwhile, the team has been expanded to include the daughter, Fabienne Schmid-Villars and Joel Müller.